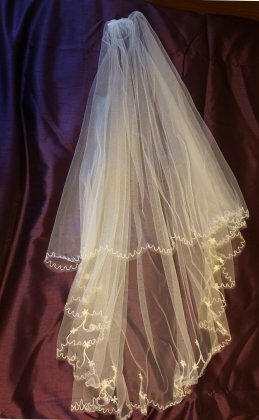 Ivory very fine honeycomb veil with gently scalloped edge. Two tiers. 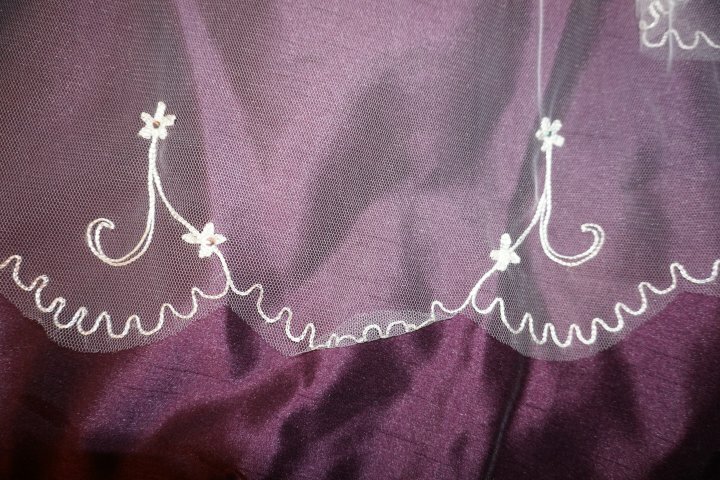 Ivory chain stitch border with two daisy shape flowers on alternate scallop on bottom layer. Each daisy has diamante centre. 45” from top of comb. Flat join to comb but extra gather could be added to five more lift.